Is juicing good for you? 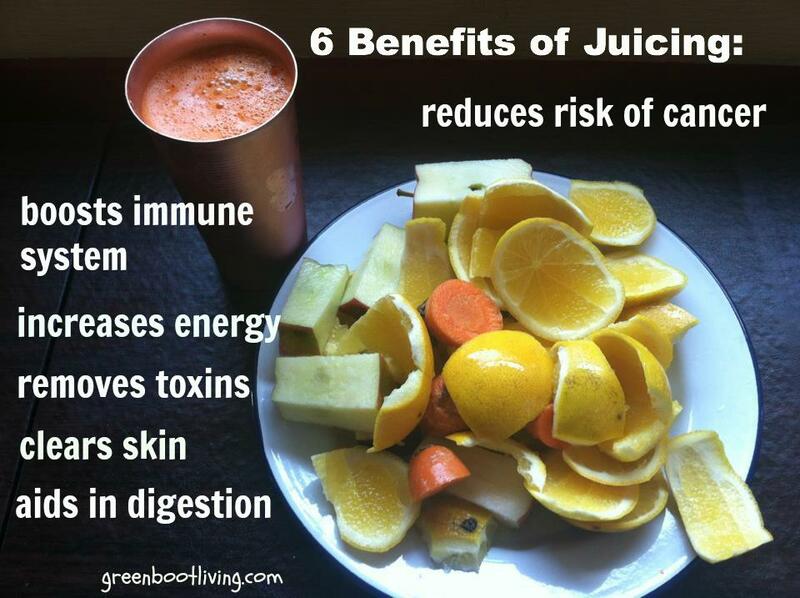 Juicing is great for your health. Juicing has been a big part of my healthy living for the last 10 years. I remember my very first juice fast. I was 21 at the time and I had just graduated from college. I moved home to live on our family farm in Brooksville, Florida. I taught health and personal fitness at a local high school during that time. It was a great experience. I loved teaching the kids and I loved the subject I was teaching…. Health!! I also volunteered as an assistant track coach. In high school I ran track and cross-country. Running is a great sport. For me, mini juice cleanses really help boost my energy levels and fight any little illnesses that come my way. What is a mini juice cleanse? I replace 1-2 meals a day with fresh juices. I really try to focus on vegetable juices and not as much fruit juices (less sugar). I am around kids all day. I have two little boys and I have about 40 nieces and nephews that live pretty close to us in Salt Lake City, Ut. My kids are in summer camps right now and there are birthday parties every weekend. A few days ago I started to get a slight sore throat and feel run down. I told myself” No way!”. I am staying one step ahead of my health by doing a mini juice cleanse. The first night I felt a little run down I juiced a head of celery and 8 carrots. I drank the whole glass before going to bed. 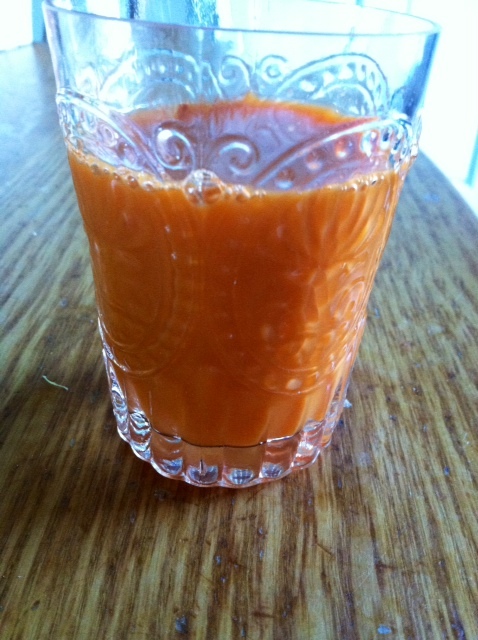 The next morning I juiced 1 cucumber, 1 stalk of celery, and 8 carrots… I drank that for breakfast. I kept this routine up for 4 days. Morning and night juicing. On day 2 I had a slight fever and by day 3 I was feeling better. Today I am back to normal and feeling great, but I still juiced the same recipe for breakfast and have a mason jar of juice ready for me in the morning. We are out the door pretty early for summer camp, so I have my healthy fast food ready to go. I immediately feel the positive effects of juicing. Why do I LOVE juicing Carrots? “The two obvious nutrients most are aware of are vitamin A and beta carotenes. Vitamin A toxicity is possible with vitamin supplements and fish oils, but you cannot overdose on vitamin A with carrots while enjoying their extra large amounts of this vitamin. Beta-carotene is also a major antioxidant. The vitamin A and beta-carotene help maintain vision along with the carrots’ fair share of lutein. Beta-carotene also maintains epithelial tissue, the tissue surrounding internal organs. Epithelial tissues are susceptible to cancerous growths. Carrots are also rich in poly-acetylene anti-oxidant falcarinol. Research at the University of Newcastle has shown carrot falcarinol destroys pre-cancerous cells in tumors. Carrots do help keep cancer away. Carrots are deep soil root vegetables, and this enables them to absorb an abundant array of minerals. They are also rich in other vitamins, including the B vitamins and folates. Folate is the natural and safe provider of folic acid. How does fresh carrot juice heal the body? “Drinking carrot juice cleanses and restores the liver. The liver is our body’s master cleanser – without which we would die from internal toxic buildups while detoxing all those external toxic sources we’ve taken in. Carrot juice has been called the golden juice of healing. Dr. John Christopher, the father of modern American herbalism, has expressed amazement of carrot juice’s healing qualities. The Gerson Therapy, carried on today by Dr. Max Gerson’s daughter and grandson, relies heavily on fresh carrot combined with apple juices. The Gerson Therapy successfully treats cancer patients who have been given up on. Dr. Max Gerson developed his dietary and detoxification approach to treat many diseases in addition to cancer. For critical illnesses, it’s best to juice several carrots with a few apples often while fasting from solid foods for awhile. “The cucumber contains alkaline-forming minerals and is an excellent source of vitamin C and A (anti-oxidants), folate, manganese, molybdenum, potassium, silica, sulfur, and lesser amounts of vitamin B complex, sodium, calcium, phosphorus and chlorine. I love the combination of celery, carrot, cucumber juice. It really energizes me and helps my immune system fight acute infections. If you are ever feeling run down and overtired (like me!) you may want to give juicing try. You will love it just as much as we do!!! I love this juicer and we have tried many. My favorite so far! Hope you give juicing a try sometime soon. Amazing really for us to consider, juicing to improve one’s health, to detoxify our body from toxic substances and especially to clean our liver the most and be healthy once again, there by removing and eradicating spread of cancer cells in our organ systems! Really amazing, isn’t it, Nature heals our body!